INDUSTRY.co.id - Medan - Tanoto Foundation started an internship program for vocational or vocational high school students for Tanoto scholarship recipients. "The policy supports the government's vocational program," Tanoto Foundation's Head Scholarship Tonni Victor Hasibuan said in Medan on Friday (9/29/2017) at the Tanoto Foundation Sekokah Secondary Scholarship Signing. Scholarships were awarded to 64 high school students from 20 schools. According to him, the apprenticeship program for vocational school students who receive beasiwa as a form of support of government vocational programs. Tonni Victor explained that the student internship will be conducted at Tanoto partner companies such as Asian Agri. "The apprenticeship of the apprentices is tailored to the needs of the company in need, so there needs to be further coordination," he said. Asian Agri Group Head of Common Services Hadi Susanto admitted to supporting the apprenticeship program of students of SMK Tanoto after the previous program for undergraduate or undergraduate level. "It must be admitted that all companies have difficulty getting ready-made workers, so the SMK apprenticeship program is worth supporting," he said. The Tanoto Foundation's board, Felesia Phoa, said that by 2016, the dropout rate according to the principal data for the education of the Ministry of Education and Culture is still quite high. By 2016, the drop-out rate in secondary education is 147,865. One of the reasons why many drop out students is an economic factor. Whereas in one of the goals of sustainable Development Goals (SDGs) Education Sector, mentioned in 2030 each country should guarantee every citizen complete quality primary and secondary education. "Therefore, Tanoto increasingly want to contribute to help the cost of education through beasiawa," he said. The Tanoto Foundation Secondary Scholarship Program is started in 2010 and has provided scholarships to 503 students in 20 partner schools. For the year 2017 there are already 160 high school students who get scholarships. In addition to secondary school scholarships, said Felesia, Tanoto Foundation also runs other scholarship programs such as the National Champion Scholarship in collaboration with 12 universities in Indonesia. The program provides support to undergraduate and postgraduate students to become Indonesia's future leaders. 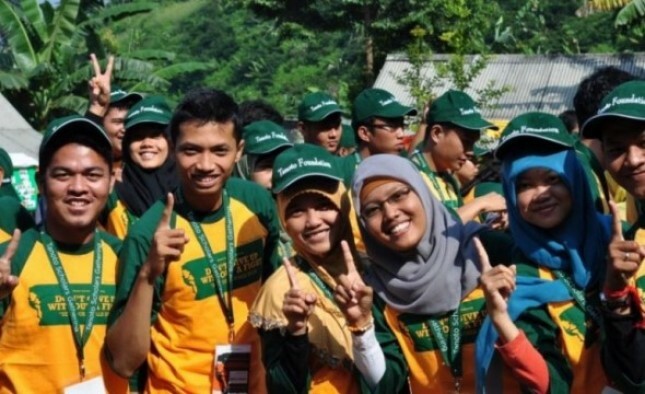 "There is also a regional champion scholarship program for undergraduate students aimed at educating prospective leaders from rural areas so that all Tanoto Foundation already supports 7,200 students and students," said Felesia.